How do you teach Creative Entrepreneurship? 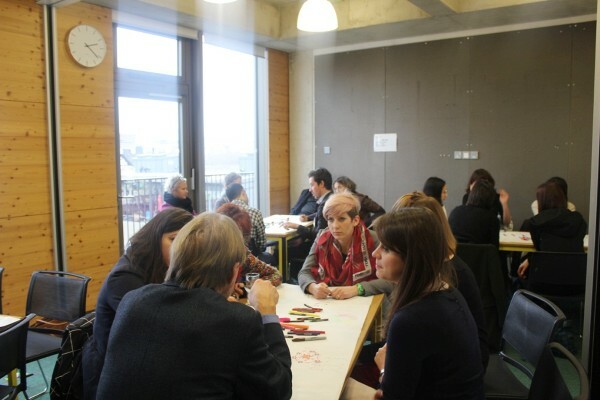 CENTRES is a multilaterial project aimed at promoting creative entrepreneurship in schools. Two international conferences have already taken place in Krakow and London exploring how and why this should happen. The European-funded CENTRES (Creative Entrepreneurship in Schools) project was launched in February 2012, with theaim of reaching thousands of secondary schools across eight European countries: Czech Republic, Denmark, Estonia, Lithuania, Finland, Poland, Slovenia and the UK. The purpose of the CENTRES network, led by the British Council and delivered by a consortium of European partners, is to create the first European multi-sectorial forum for issues relating to entrepreneurship education specific to the creative industries and for sharing innovation and best practice in this area. Groups of students and their teachers are already taking part in a range of pilot activities meant to boost skills such as entrepreneurship and out of the box thinking. Alongside events aimed at the student and teacher community, CENTRES is also reaching out to wider audiences through other activities: international conferences, online resources, state-of-innovation reports and policy workshops. The first CENTRES international conference aimed primarily at introducing the project, its goals and partner institutions to key stakeholders in Poland: teachers, trainers and policy makers. With over 100 Polish and international participants in the audience, the keynotes included practitioners from Europe and the UK, as well as senior Polish policy-makers: the Minister of National Education, regional authorities, heads of national education institutions. The message reiterated by speakers and participants was that of an urgent need to introduce activities into the school curricula that fosterthe creativity and entrepreneurship of students, and thus increase their employability in their future lives. This imperative, it was suggested, should be paired with the introduction of non-standard approaches to classrooms, e.g. social enterprise model. The Minister expressed her willingness to support this agenda, along with interest in the project milestones and outcomes. A summary of key conference findings and an overview of main approaches in the field have been included in the first ‘state of innovation’ report available here. The second conference again brought together leading experts and innovators in creative learning and education, and again attracted a sizeable international audience. As it was stressed by the keynotes, the event took place at a critical time: while economic austerity is still taking its toll on European job markets and many educational systems are following traditional paths, it is crucial to mainstream creative learning and progressive teaching tools. Speakers from the UK, Estonia, Finland and Sweden brought to attention a number of imperatives related to the mainstreaming of creative learning and the benefits it can bring to the economy, classroom, education institutions and last but not least – to individuals. Each of the presentations was followed by a vivid Q&A session with the audience. The second part of the conference was interactive – participants were invited to choose from a wide offer of creative workshops, through which different tools and approaches were presented in practice. An insightful, second ‘State of Innovation’ report was prepared after the event. CENTRES (Creative Entrepreneurship in Schools) has been funded with support from the European Commission. Follow the CENTRES project here and on Facebook.